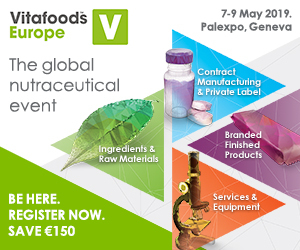 At Health ingredients Europe 2018 in Frankfurt, Germany, plant manufacturer Glatt Ingenieurtechnik will be presenting a newly developed modular and compact plant concept for continuous spray agglomeration. Featuring multi-step and multi-zone processing, the GF ModFlex is compact, flexible and features a new control system developed by Glatt. As more and more people adopt better-for-you diets, the demand for enriched and sugar-free foods, on-the-go drinks and dietary supplements is rising. But protein shake consumers will only become repeat purchasers if the powder dissolves quickly and without lumps; similarly, eaters of vegan ice cream won’t appreciate the presence of ice crystals in their tasty treat. Spray agglomeration during fluid bed processing ensures that proteins and sweeteners such as maltitol or cellulose derivatives can be properly wetted, have a more porous surface and are more flowable and easier to dose. Their bulk density is also significantly reduced, which is particularly beneficial for beverage powders in pods and capsules, which require precise dosing, mustn’t segregate and should dissolve completely within seconds. Even tabletable premixes and temperature-sensitive substances can be gently processed in this way. The new concept of the GF ModFlex system is both compact and flexible, is available with a short commissioning time and offers outputs of 200 kg to 3 t per hour. Other capacities and a future expansion can be accommodated. The low operating costs, among other things, ensure economic-effectiveness, as the concept has been optimised in terms of energy consumption. The modular, ATEX-compliant solution with integrated WIP functionality and plate filter was specifically developed for continuous powder agglomeration applications in limited-height rooms. Commissioning after an installation period of only 12 days is possible because the predefined modules are already pre-installed and pre-assembled. They only need to be plugged in on site and production can be started right after the acceptance test.